Got a race of bottom-line-worshipping alien bureaucrats draining an entire sun of its power to feed their lust for profits, damning a whole solar system to death? You might be in need of a Fear Agent-extreme alien exterminators-like Heath Huston to set the record straight. Sure, he’s usually half in a bottle of whiskey, he can’t shoot all that straight anymore, and he cusses enough to make little green men blush, but in a universe this messed up he’s just the man for the job. 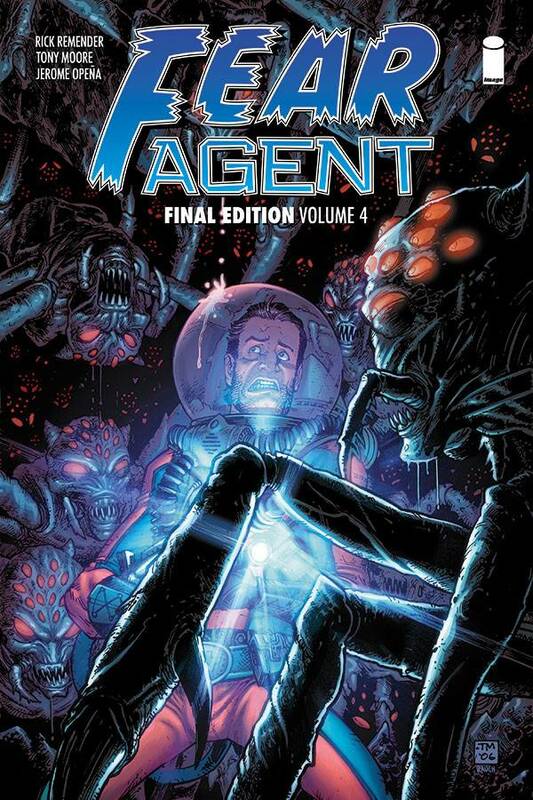 A compilation of tales from the FEAR AGENT universe!